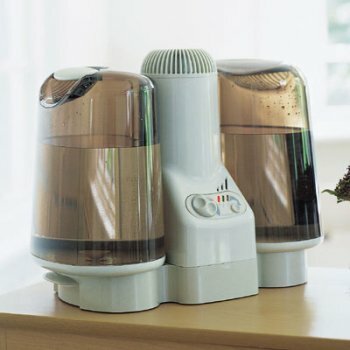 Warm mist humidifier is easiest ever to clean?it?s dishwasher safe. A breakthrough in humidifier design that solves the problem of cleaning the vapor column and tray thoroughly?just pop them in the dishwasher for bacteria-free operation. Multi-function control panel pops out for humidifier cleaning. Automatic humidistat control lets you maintain desired humidity level.